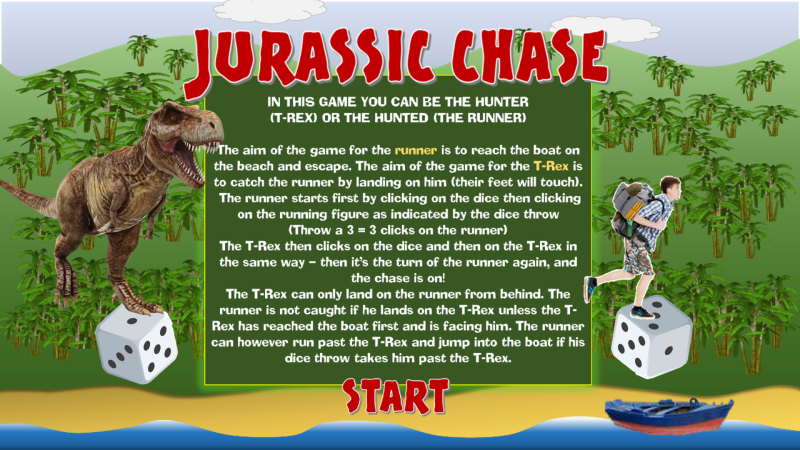 A one or two player chase / race game where you are the hunter (the T Rex) or the hunted (the Runner). 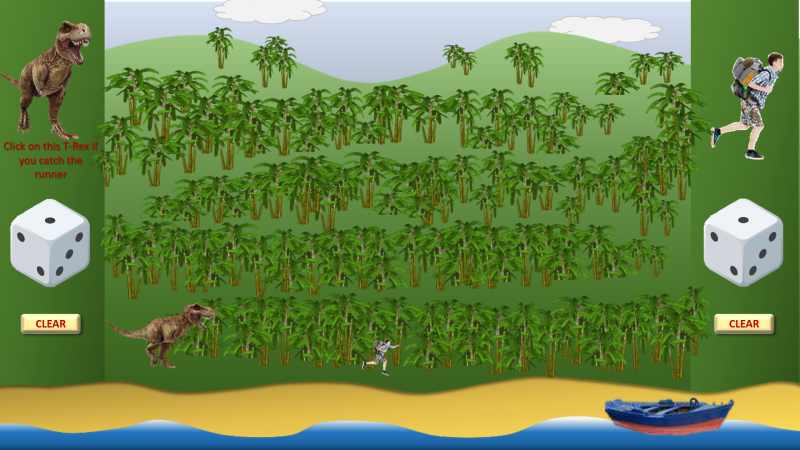 It’s a pretty simple game of chance which depends upon how lucky (or unlucky) your dice throws are. 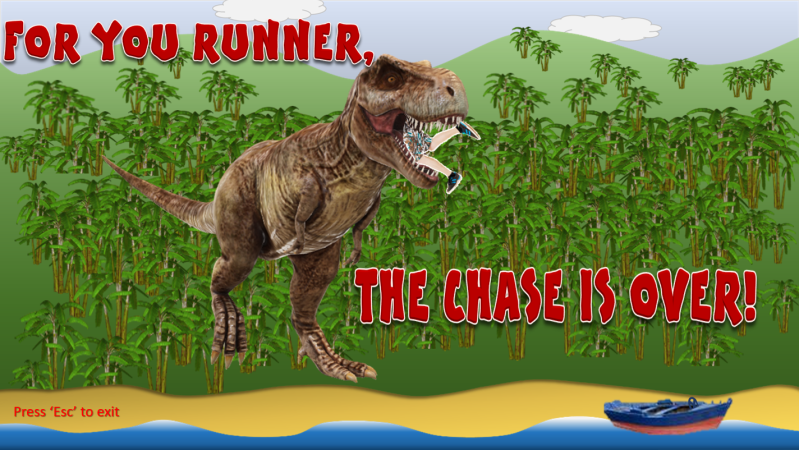 If you are the Runner and you get caught by the T Rex, your fate is not a pleasant one.